'Hivemind' is the newest project from guitarist Chris Guilfoyle. This project focuses on modern swing drawing influence from a range of artists such as Wynton Marsalis's Black Codes band as well as Kurt Rosenwinkel, Mark Turner and Brad Mehldau. The ensemble is comprised of some of the leading lights of Dublin's jazz scene with long-standing collaborator Barry Donohue on bass, Leopoldo Osio on Piano and Brendan Doherty on drums. 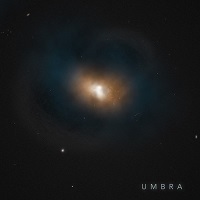 The project steers away from the large-scale compositions that typify the style of his band Umbra and puts more of a spotlight on improvisation but still maintaining a drive and energy that has come synonymous with Chris's music.